Microtel by Wyndham Eagle Ridge, Cavite recently received from TripAdvisor the prestigious 2018 Travelers’ Choice award. This is the highest honor given by TripAdvisor based on reviews and opinions of millions of travelers worldwide. Given annually, the award reflects “the best of the best” for service, quality, and customer satisfaction, from hotels and accommodations, to destinations, attractions, restaurants and airlines. It means the business is truly exceptional, and among the top 1% of hotels. 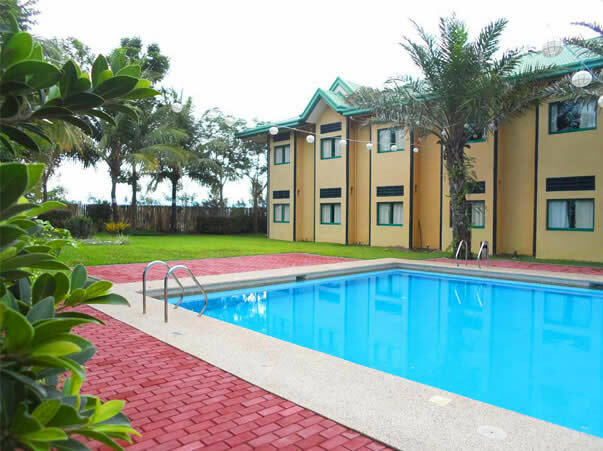 Microtel by Wyndham Eagle Ridge, Cavite is a 57-room located inside Eagle Ridge Golf & Country Club, home to 4 world-class golf courses, and sports & recreational facilities. The hotel is among the Top 25 Bargain Hotels recognized for their exceptional service & quality and great value. 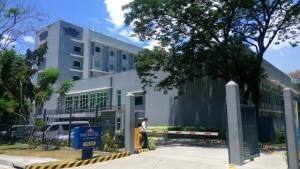 All Microtel by Wyndham in the Philippines are managed by PHINMA Hospitality, Inc. Other Microtel properties are located in Acropolis QC, Baguio, Batangas, Boracay, Cabanatuan, Cavite, Davao, General Santos, Mall of Asia, Puerto Princesa, Tarlac, South Forbes (near Nuvali), UP Technohub QC, and soon to open in Pampanga. For business opportunities and inquiries, call (02) 899 7171 / (0917) 888 1800, email reservations@microtel.ph or log on to www.microtelphilippines.com. Microtel by Wyndham Davao, one of the 13 Microtels in the Philippines, is celebrating 10 memorable years of offering guests world class service and value-for-money accommodations. 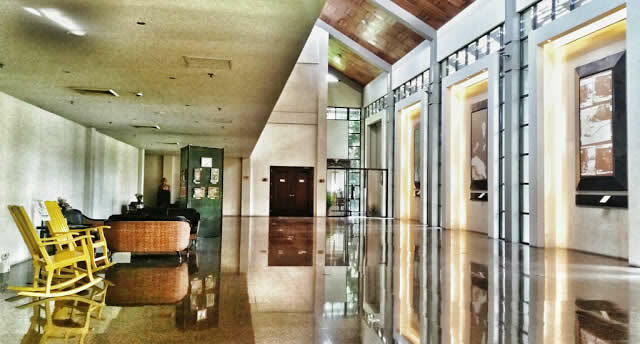 Since its opening in 2007, it has now become the top-of-mind hotel to stay in when visiting Davao City particularly for the loyal guests it had served for 130,402 room nights to date. Simultaneous with the hotel’s 10th year anniversary is its recent renovation inspired by the MicroFRESH concept of the Microtel by Wyndham chain. Each updated guest room still features the chiropractor-approved “healthy-for-the-back” beds to ensure maximum comfort during every stay but now boasts a refreshing combination of warm neutral tones and bold colors for added character. Brand-new fixtures and draperies have also been added to complete the look. And, to keep up with the demands of today’s business travelers, USB charging ports and higher-speed internet are now made available in each guest room. “Our number one priority has always been to make our guests happy and meet their needs. The renovation was a great opportunity to enhance the guest experience by incorporating elements that are relevant to today’s travelers. The refreshed look brings to life Microtel’s new tagline, “Brilliantly Efficient”, which is all about smart and economical accommodations”, Area General Manager for Mindanao Albert Banaag said. Situated within the Damosa Gateway Complex which is just 5 kilometers from the Davao International Airport, staying at Microtel by Wyndham Davao makes it easy to access key parts of the city. 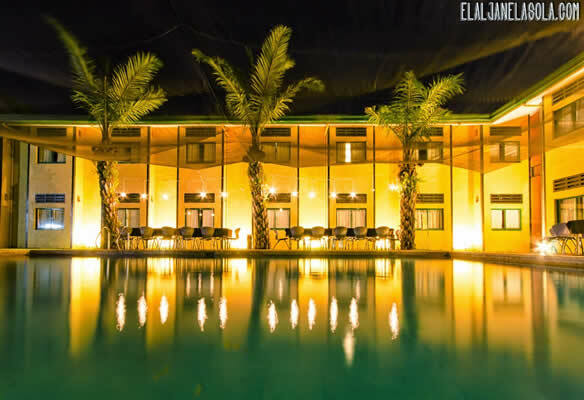 Aside from the 51 guest rooms, the hotel also has spacious function rooms that can accommodate small to medium-size meetings of 40 to 120 persons. 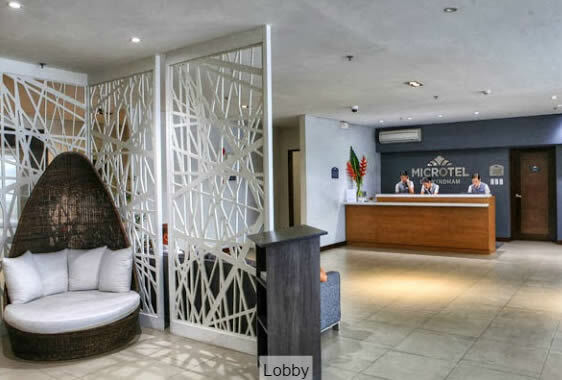 Microtel by Wyndham is an international chain of limited service hotels under Wyndham Hotel Group with over 300 hotels worldwide including 14 in the Philippines. 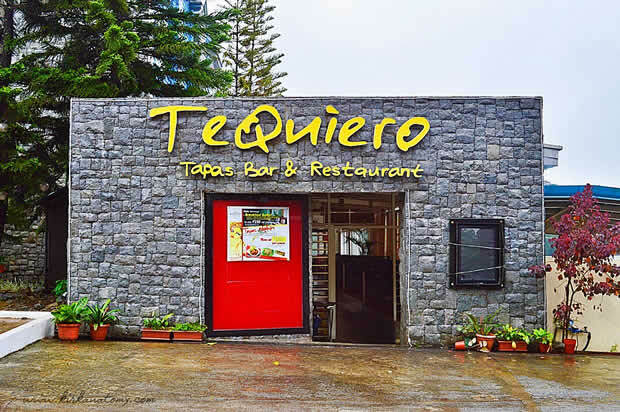 These are located in Davao, Gensan, Baguio, Tarlac, Cabanatuan, Batangas, Cavite, South Forbes (near Nuvali), Boracay, Puerto Princesa, Acropolis QC, UP Technohub QC, Mall of Asia, and soon in San Fernando, Pampanga. All Microtel hotels in the Philippines are managed by PHINMA Hospitality Inc.
Visit www.microtel-davao.com or call +082 233 2333 / 0917 795 3550 for more information. 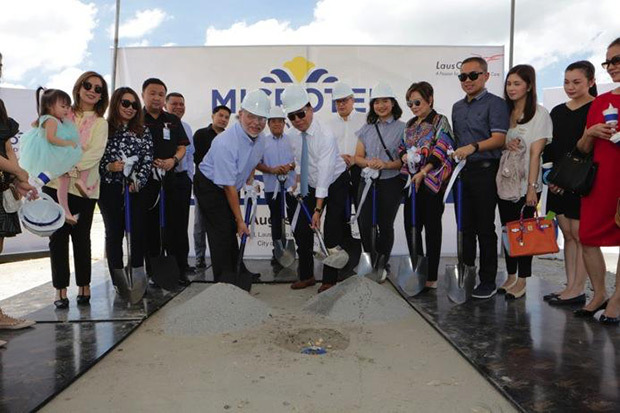 The Laus Group of Companies, Pampanga franchise holder of the US-based Microtel by Wyndham chain, has broken ground for an 80-room Microtel by Wyndham in San Fernando, Pampanga, the 14th Microtel property in the country. Scheduled to open in 2018, the hotel is strategically located right beside the LausGroup Event Centre inside the LausGroup Complex. “We are excited to expand the Microtel by Wyndham brand to Pampanga. We see so much potential in this area and strongly support the Laus Group’s mission to promote countryside development. We share his vision for Pampanga and all of Central and Northern Luzon. Microtel by Wyndham Pampanga will raise the bar on quality accommodations and provide business and leisure travelers in the province an international class hotel that offers great value,” said Jose Mari del Rosario, President & CEO of PHINMA Microtel Hotels Inc. (Philippine master franchise holder of Microtel). Microtel by Wyndham Pampanga will provide consistently clean, comfortable, safe and secure accommodations, all with chiropractor-approved healthy-for-the-back queen beds. The hotel will offer ample space for short-term or extended stay travelers to stay and work comfortably, and a professional setting for small meetings. 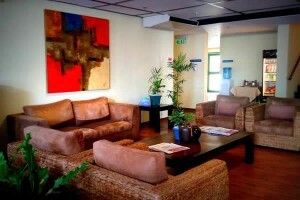 Other amenities and services include meeting rooms, swimming pool, high speed internet connection, and cable TV. 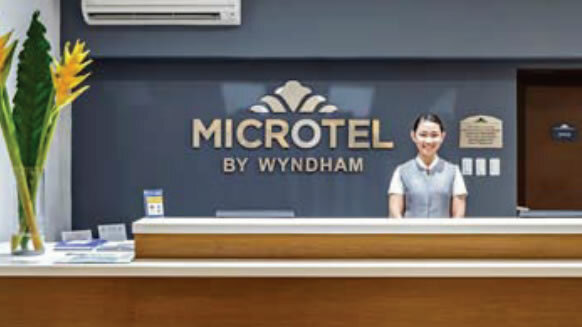 Microtel by Wyndham is an international chain of limited service hotels under Wyndham Hotel Group with 300+ Microtels worlwide including 13 in the Philippines. These are located in Baguio, Tarlac, Cabanatuan, Batangas, Cavite, South Forbes (near Nuvali), Boracay, Puerto Princesa, Acropolis QC, UP Technohub QC, Mall of Asia, Davao and Gensan. The Philippine Microtel group also holds the master franchise for TRYP by Wyndham, a select service hotel chain with 100+ properties worldwide including one in Mall of Asia, Manila. For more information, log on to www.microtelphilippines.com or call 8997171. Microtel by Wyndham Philippines, the largest international hotel chain in the country with 13 properties in strategic locations nationwide, recently received the TripAdvisor Certificates of Excellence for eight of its hotels - Microtel by Wyndham Baguio, Tarlac, Cabanatuan, Eagle Ridge Cavite, South Forbes (near Nuvali), Boracay, Puerto Princesa and Gensan. 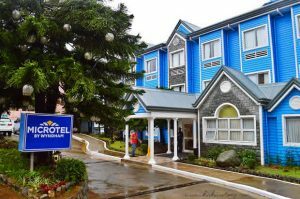 Microtel by Wyndham Baguio (2015 TripAdvisor Hall of Fame awardee), earned its Certificate of Excellence for seven (7) consecutive years (2011-2017). Now on its 7th year, the Certificate of Excellence is given to establishments that consistently earn great TripAdvisor reviews from travelers. 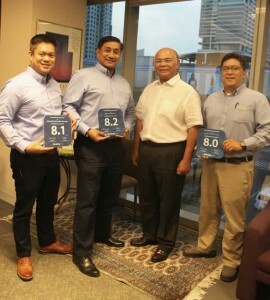 Jose Mari del Rosario, President & CEO of PHINMA Microtel Hotels Inc. (Philippine master franchise holder of Microtel) and PHINMA Hospitality Inc. (management company) said, “We are proud of this recognition from TripAdvisor. The remarkable feedback from our guests validates what Microtel is all about – brilliantly efficient and consistent in providing comfort, value, and exceptional service. We stay true to our commitment to deliver to our guests the same great hotel and the same great experience wherever Microtel they go to! Microtel by Wyndham is an international chain of hotels under Wyndham Hotel Group, with 300+ properties worldwide. For reservations, call 899 7171 / 0917 888 1800 or visit www.microtelphilippines.com. Like us on Facebook at facebook.com/MicrotelPhilippines. 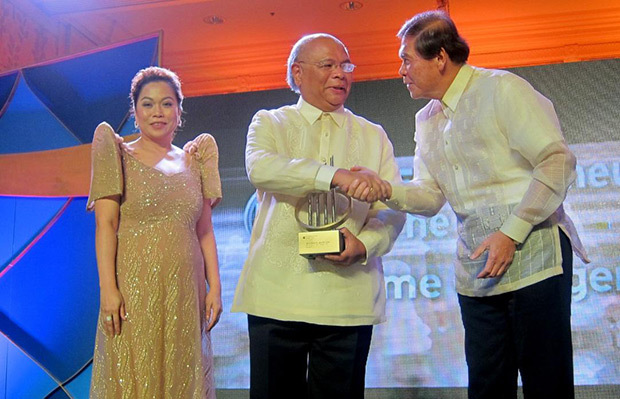 Jose Mari del Rosario, President & CEO of Microtel Inns & Suites (Pilipinas), Inc. was honored as the 2016 Mabuhay Gold Awardee by the Association of Human Resource Managers in the Hospitality Industry (AHRM) in its 21st Mabuhay Awards. The theme of this year’s Mabuhay Awards was “Filipino Hospitality at its Best”. This annual event recognizes exemplary managers and staff and promotes commitment to service excellence among Filipino hospitality professionals. The Mabuhay Gold Award is the most coveted award given to a Filipino hotelier or restaurateur who has greatly contributed to the upliftment of the Philippine hospitality industry. “We are truly grateful and proud of this recognition from our colleagues in the profession. The 2016 Mabuhay Gold award is a testament to the tireless commitment, passion and dedication of the entire Microtel & Paramount team”, del Rosario said. 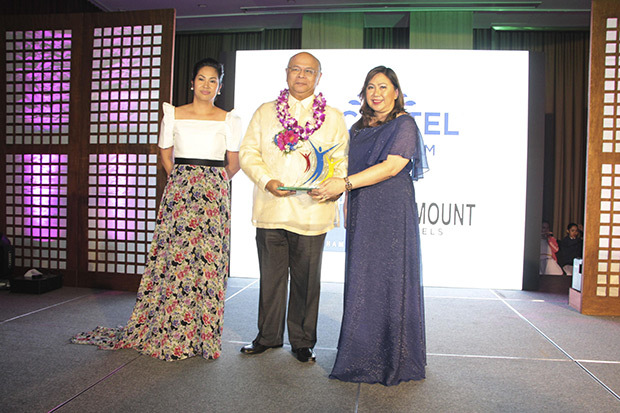 Del Rosario was lauded for his invaluable contribution to the development of human resources in the field of hospitality and for providing continuing leadership and inspiration to the Filipino hotelier. After a decade of working in the deluxe hotels here and abroad, he realized that his mission was to provide Philippine tourism landscape an affordable hotel concept with international quality service. His pioneering effort to bring the Microtel brand to the country in the late 1990s changed the landscape of the mid-market segment. 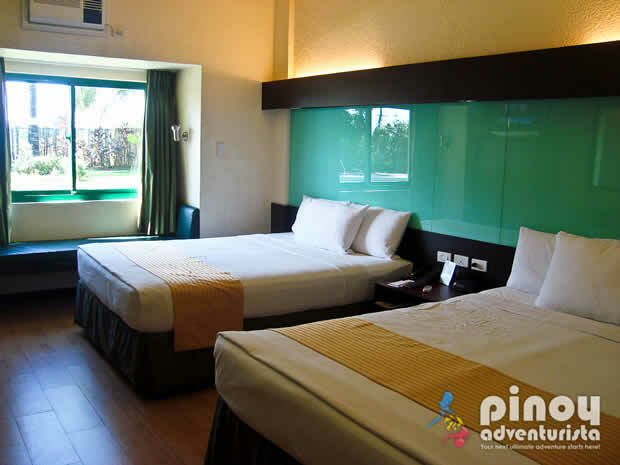 Microtel’s no-frills, international class, value-for-money approach upgraded the quality of accommodations, especially in the provinces. 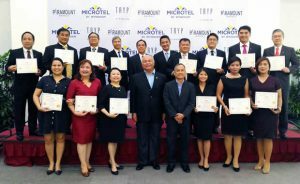 Microtel by Wyndham is also proud to be the only international hotel brand in the country with 100% Filipino management. 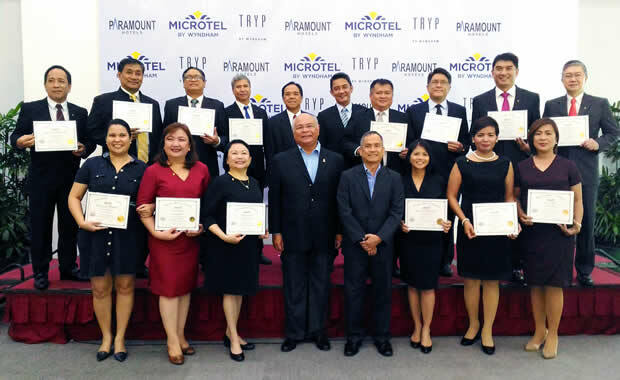 Under del Rosario’s leadership, Microtel has expanded to 13 properties in key regional hubs and resort locations nationwide: Acropolis QC, Baguio, Batangas, Boracay, Cabanatuan, Davao, Eagle Ridge Cavite, Gensan, Mall of Asia, Puerto Princesa, South Forbes (near Nuvali), Tarlac, and UP Technohub QC. He also established Paramount Hotels & Facilities Management to provide professional management for hotels and other facilities. 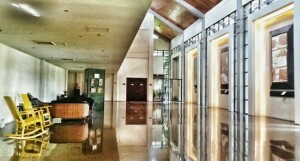 Presently, it operates 5 independent hotels and 4 restaurants. As a consumer it pays to be loyal, and many businesses recognize the importance of a loyalty program which rewards customers based on earned points. For Microtel by Wyndham hotels in the Philippines, it’s Wyndham Rewards, the guest loyalty program of the international Wyndham Hotel Group which recently earned the number one accolade from U.S. News & World Report’s annual assessment based on expert and guest opinions. Identifying some of the most well-known hotel loyalty programs, U.S. News formed their ranking by assessing several factors including ease in earning a free night’s stay, inclusion of miscellaneous benefits such as points earned via credit card and perks like free room upgrades or free wifi, the ability of members to use the program domestically and abroad, and number of hotels in the network and their diversity (luxury, economy, resort, and urban locations). 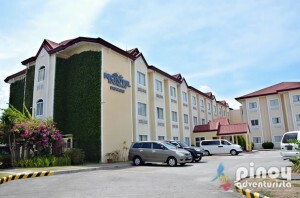 In the Philippines, guests can earn and redeem their Wyndham Rewards points, and enjoy their privileges, in all 13 Microtel by Wyndham hotel locations at Acropolis QC, Baguio, Batangas, Boracay, Cabanatuan, Eagle Ridge in Cavite, Davao, General Santos, Mall of Asia, Puerto Princesa, South Forbes (near Nuvali), Tarlac, and UP Technohub QC. 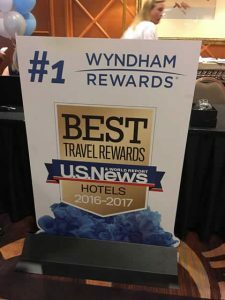 Guests may also use their earned points internationally at any of the nearly 8,000 hotels of the Wyndham Hotel Group. Signing up to the program is free and guests start earning their points immediately upon check in. The Wyndham Rewards program has more than 46 million members worldwide. 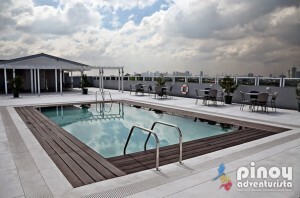 For more information on Microtel by Wyndham in the Philippines and Wyndham Rewards, go to www.microtelphilippines.com and www.wyndhamrewards.com. Microtel by Wyndham, a member of the international Wyndham Hotel Group, pioneered the no-frills hotel concept in the Philippines that targets the mid-market. Its approach is back-to-basics and focuses on providing consistently clean, comfortable, and secure accommodations at value rates. Microtel by Wyndham currently has 13 properties at Acropolis QC, Baguio, Batangas, Boracay, Cabanatuan, Eagle Ridge in Cavite, Davao, GenSan, Mall of Asia, Puerto Princesa, South Forbes (near Nuvali), Tarlac, and UP Technohub QC. With 13 properties across the Philippines and counting, Microtel by Wyndham is by far the largest international hotel chain in the country by number of branches. Eight years ago, it opened a hotel in the middle of a farm in Cabanatuan City. 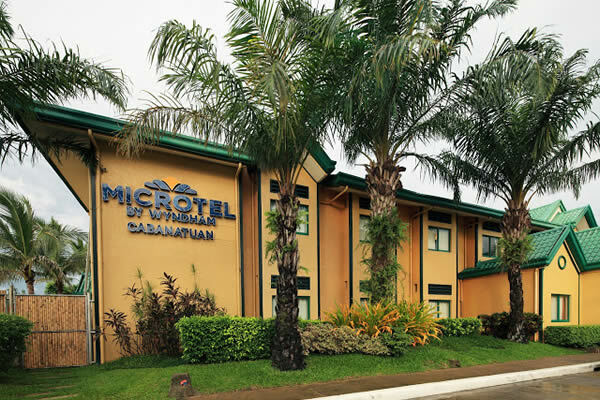 Microtel by Wyndham Cabanatuan in Nueva Ecija opened with 50 rooms in a city where consumption patterns still depend on harvest season and which Kasal, Kasali, Kasalo (2005) popularized for its beefy longaniza called batutay. For his game-changing role in the hospitality industry, Jose Mari Del Rosario, President and CEO of Microtel Inns & Suites (Pilipinas), Inc. (MISPI), was honored with the Industry Entrepreneur 2015 award in the Ernst & Young Entrepreneur of the Year 2015 Philippines. Del Rosario was credited for developing a new category of hotel accommodations in the Philippines. 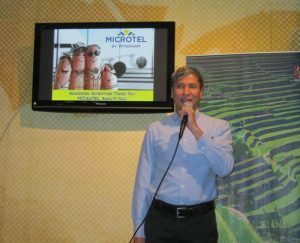 He brought the Microtel hotel brand from the United States to the Philippines in 1998. Starting in provincial locations, it filled a void in decent, secure guestrooms where there was none. Even today, Microtel by Wyndham (as it is now more popularly known), is the only international brand hotel in most of its locations. The EY Entrepreneur of the Year Philippines is a program of the SGV Foundation, Inc. This global program was launched in the Philippines in 2003. It was first introduced in the United States in 1986 by professional services firm Ernst & Young to recognize the achievements of outstanding entrepreneurs within successful, growing and dynamic businesses. The program currently runs in more than 145 cities in over 60 countries. Cabanatuan, the city dubbed as the country's "tricycle capital" but interestingly called "Cab", is proving to be the next stop for gastronomic travelers plying Central Luzon. Microtel by Wyndham Cabanatuan, Cab's only internationally affiliated hotel, has rode the momentum and recently beefed up its F&B offer by teaming up with homegrown restaurant brand Bistro 360 to serve breakfast, room service, and banquet needs to its customers. Our visit was very timely. 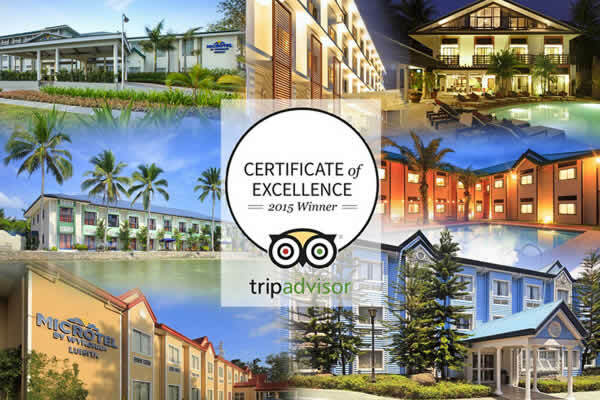 Microtel Cabanatuan was recently awarded a Certificate of Excellence (2015) by travel site, Trip Advisor. Other branches that received the same distinction are Tarlac and Baguio; the latter, consistently awarded since 2011. I've done several hikes in Tarlac in 2012 and 2013 but I never got to explore much because we normally just head straight to the base of the mountain. I joined a media familiarization tour hosted by Microtel by Wydham and we got to enjoy some of the destinations around Tarlac that proves that it's more than "just an expanse of flat land". 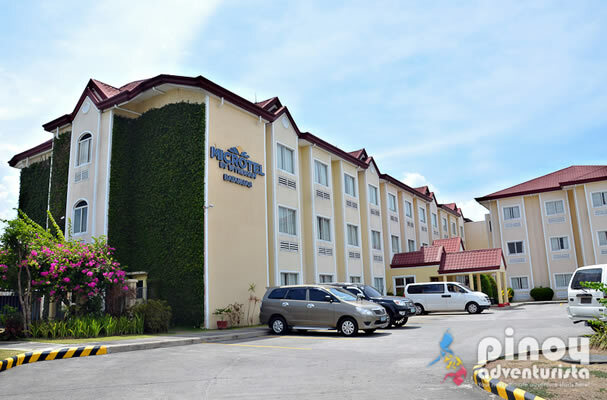 Microtel Inn and Suites by Wyndham Batangas is an awesome place to stay in Sto. Tomas, Batangas. The rooms are nice, the staff are courteous and it has the much needed amenities and facilities ideal for a comfortable and hasslefree stay. 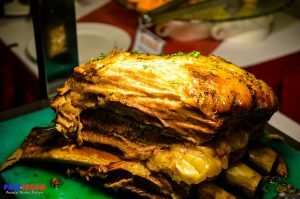 On a recent media familiarization tour with Microtel Philippines, I was able to revisit and discover new destinations in Quezon City. I'm sharing with you the places we visited, plus a few more recommendations for you fellow nature lovers and foodies! 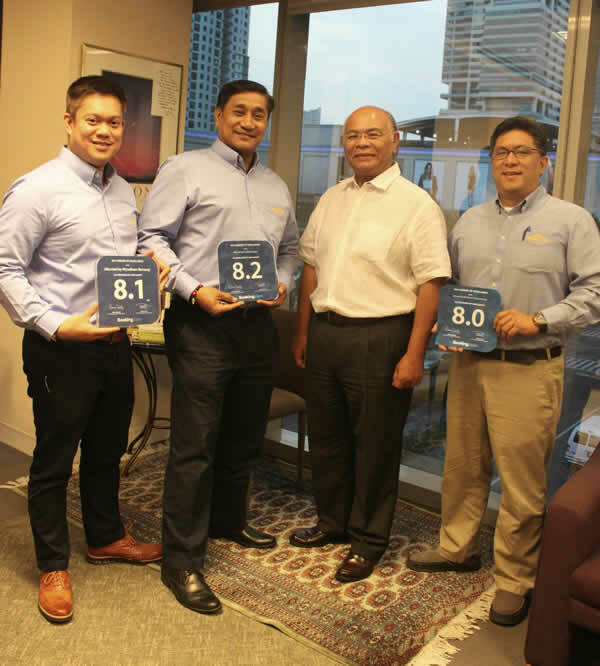 Microtel by Wyndham in the Philippinesis honored with the 2014 Award of Excellence from Booking.com – the world leader in online hotel and accommodation booking – for three of its hotel properties. The Award of Excellence is given out by Booking.com to hotel and accommodation properties annually, in honor of their achievements over the past year as measured by their overall guest review score. Receiving the accolades are Microtel by Wyndham Baguio, Boracay, and Puerto Princesa, scoring 8.2, 8.1, and 8.0 respectively. These Microtel by Wyndham properties join an elite group of worldwide hotels offering incredible experiences for guests from every walk of life. 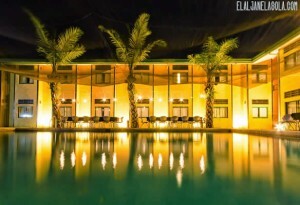 Microtel by Wyndham’s hat trick of honors from Booking.com bolstersthe hotel franchise’s commitment to guest satisfaction – from the Philippines’ Summer Capital, all the way to the country’s favorite beach destinations. The sole Microtel by Wyndham franchise in Asiais the largest and fastest-growing international hotel chain in the country, and currently has 13 properties at Acropolis QC, Baguio, Batangas, Boracay, Cabanatuan, Cavite, Davao, General Santos, Manila, Puerto Princesa, South Forbes (near Nuvali, Sta. Rosa Laguna), Tarlac, and UP Technohub QC. Book now! Call (02)899-7171 or go to www.microtelphilippines.com. Microtel Inns & Suites (Pilipinas), Inc. recently signed an agreement with the Wyndham Hotel Group to bring in a new hotel brand to the Philippines – TRYP by Wyndham®. 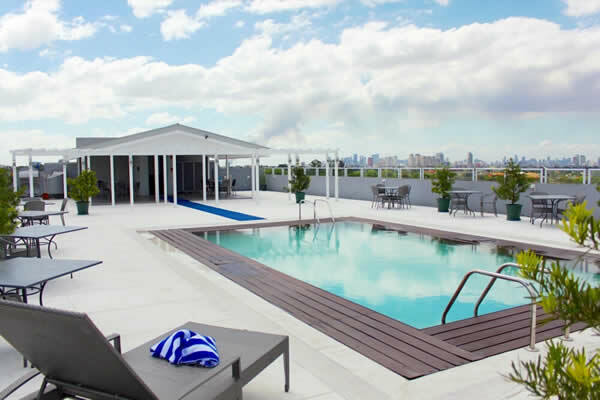 A select-service urban hotel with over 100 properties in many of the most exciting cities such as Paris, Berlin, Barcelona, New York, São Paulo, and Brisbane, TRYP by Wyndham is designed to suit guests with a penchant for travel and new experiences. Scheduled to debut in 2016 at the Mall of Asia complex in Pasay City, TRYP by Wyndham promises to be one part experience, one part destination. The brand’s “Own the City” culture is an open display of passion for guests and for the cities in which TRYP by Wyndham properties are located, aiming to help guests make the most of their travels. Jose Mari del Rosario, President & CEO of Microtel Pilipinas says,"With the tourism infrastructure rapidly improving, in-country and regional travel continues to grow. Young urbanite professionals are constantly travelling now, combining work and leisure. The TRYP experience will address that work-leisure niche." TRYP by Wyndham offers several specialty guest room types, like Family Rooms with bunk beds for young families traveling with children, Fitness Rooms complete with exercise equipment, and the Samsung Experience room, which features high-tech multimedia to create an interactive, entertaining atmosphere. As the Philippine master franchise holder of Microtel by Wyndham®, Microtel Pilipinasplans to further expand in Coron, El Nido, Puerto Galera, and Metro Manila, and build additional rooms in its existing Baguio property. 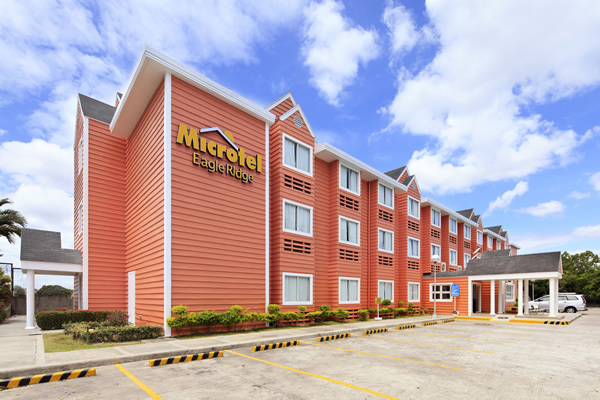 Microtel by Wyndham, a pioneer in the no-frills, back-to-basics, limited-service concept and the fastest growing, has 13 properties in the country located in Acropolis QC, Baguio, Batangas, Boracay, Cabanatuan, Cavite, Davao, General Santos, Mall of Asia, Puerto Princesa, South Forbes (near Nuvali, Sta. Rosa Laguna), Tarlac, and UP Technohub QC. The addition of TRYP by Wyndham is a complement to the growing number of hotel properties of Microtel by Wyndham in the Philippines. Both TRYP and Microtel are brands under the Wyndham Hotel Group, the world’s largest and most diverse hotel company with 7,650 properties and 661,000 rooms in 70 countries under 15 hotel brands. All Microtel by Wyndham hotels in the Philippines are managed by Microtel Development Corp., the hospitality arm of the PHINMA Group. 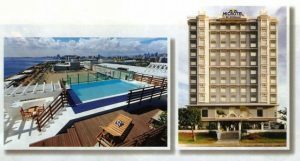 For more information, call the Manila Sales Office at 899-7171, email info@microtel.ph or log on to www.microtelphilippines.com. You may also follow us on Twitter @microtelph, Instagram @MicrotelPH, and like us on Facebook at www.facebook.com/microtelphilippines for promos and updates. Microtel Pilipinas recently signed an agreement with Wyndham Hotel Group (WHG) to bring in TRYP by Wyndham® to the Philippines. Present at the signing were (top row standing, from left) David Wray, Senior Director, Acquisitions& Business Devt, WHG Southeast Asia & Pacific Rim (SEAPR); Barry Robinson, President & CEO,WHGSEAPR; Geoff Ballotti, President & CEO, WHG; Joon Aun Ooi, VP, Openings & Operations, WHGAsia Pacific; (middle row standing, from left) Grace Magnaye, Marketing Director, Microtel Pilipinas; Rohan Karunaratne, Senior Director, Operations and Support, WHGSEAPR; (seated, from left) Bob Loewen, COO, WHG; and Jose Mari del Rosario, President & CEO, Microtel Pilipinas. 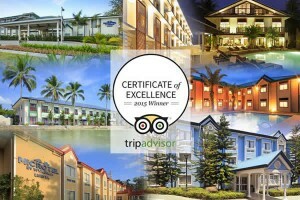 Recognized as one of the best hotels – as reviewed by travelers on the world’s largest travel site – Microtel by Wyndham® in the Philippines received seven TripAdvisor® Certificate of Excellence awards for its different properties across the country, with one entering the Certificate of Excellence Hall of Fame. Now in its fifth year, the award celebrates excellence in hospitality and is given only to establishments that consistently achieve great traveler reviews on TripAdvisor. Certificate of Excellence winners include accommodations, restaurants, and attractions located all over the world that have continually delivered a superior customer experience. 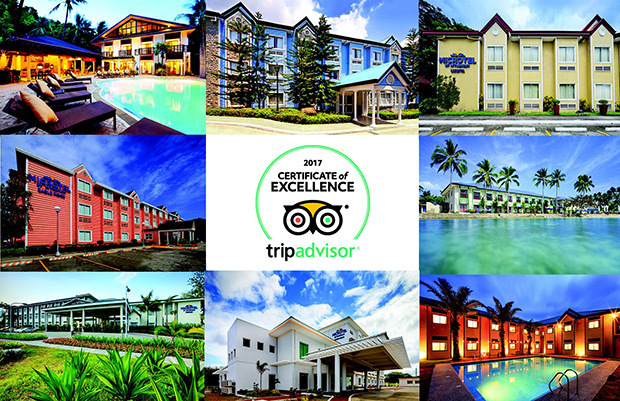 This year, more than half of the 13 Microtel by Wyndham hotels in the country were awarded the TripAdvisor 2015 Certificate of Excellence, namely Microtel by Wyndham Acropolis, Microtel by Wyndham Boracay, Microtel by Wyndham Cabanatuan, Microtel by Wyndham GenSan, Microtel by Wyndham Tarlac, and Microtel by Wyndham Puerto Princesa. 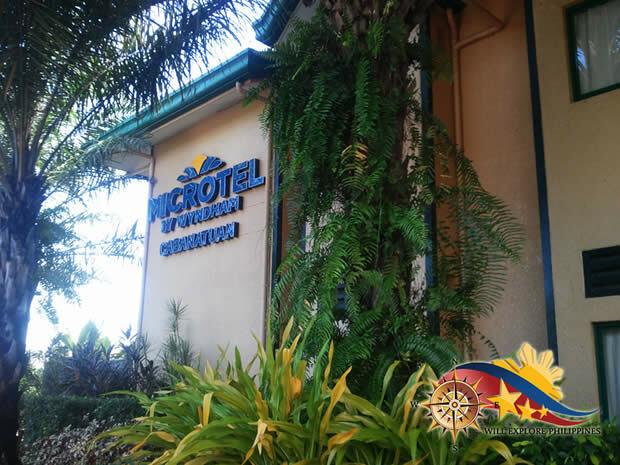 Inducted into the 2015 Certificate of Excellence Hall of Fame is Microtel by Wyndham Baguio, which has consistently received the Certificate of Excellence for five years in a row. “Winning the TripAdvisor Certificate of Excellence for five consecutive years is a remarkable feat. TripAdvisor is pleased to welcome five-time award winners into the ‘Hall of Fame’,” said Marc Charron, president, TripAdvisor for Business. 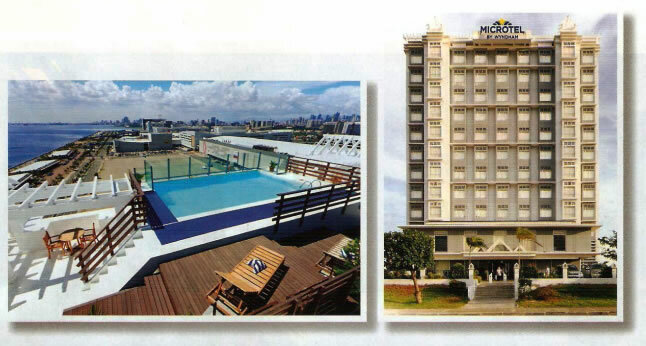 Microtel by Wyndham pioneered the no-frills hotel concept in the Philippines that targets the mid-market. Its approach is back-to-basics and focuses on providing consistently clean, comfortable, and secure accommodations at value rates. 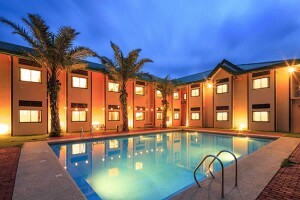 Microtel currently has 13 properties at Acropolis QC, Baguio, Batangas, Boracay, Cabanatuan, Cavite, Davao, General Santos, Manila, Puerto Princesa, South Forbes (near Nuvali, Sta. Rosa Laguna), Tarlac, and UP Technohub QC. Call (02)899-7171, follow us on Facebook at facebook.com/microtelphilippines, Twitter @microtelph, and Instagram @MicrotelPH. You may also visit our website at www.microtelphilippines.com. 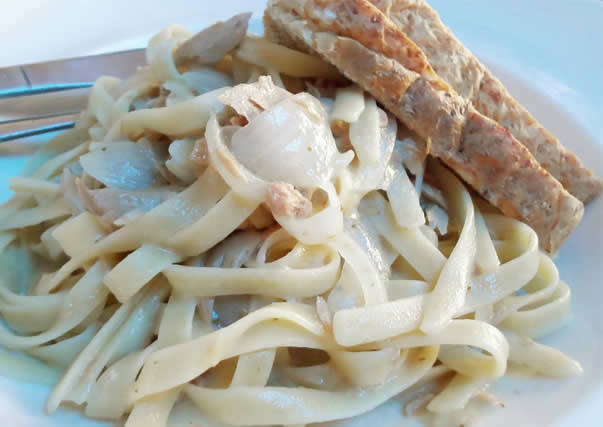 04-19-14 | Millie's Restaurant at Microtel by Wyndham Mall of Asia Offers Affordable Yet Excellent Dishes. MUST TRY their Baby Back Ribs! 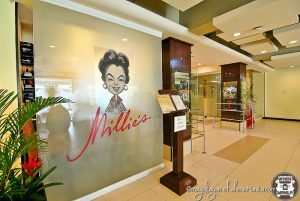 Millie’s Restaurant at Microtel by Wyndham Mall of Asia Offers Affordable Yet Excellent Dishes. 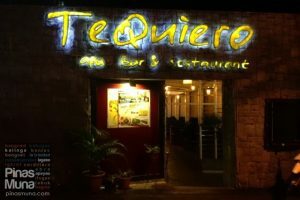 MUST TRY Their Baby Back Ribs! When in Manila and bored with the usual restaurants around Mall of Asia, I highly recommend you try out Millie’s located inside Microtel by Wyndham Mall of Asia. Microtel, as its name would suggest, is a small- to medium-sized hotel but its growing, nationwide network of properties can no longer be considered "micro". Microtel has heavily influenced the Philippines'' hospitality industry. 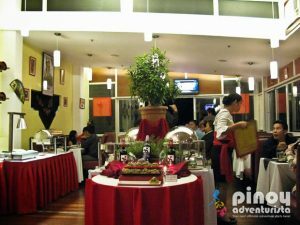 More than 13 years ago, Microtel Inn & Suites by Wyndham® pioneered the no-frills, great-value hotel concept in the Philippines that has successfully targeted the mid-market. Its approach is back-to-basics and focuses on providing consistently clean, comfortable, safe and secure accommodations at remarkably reasonable rates. 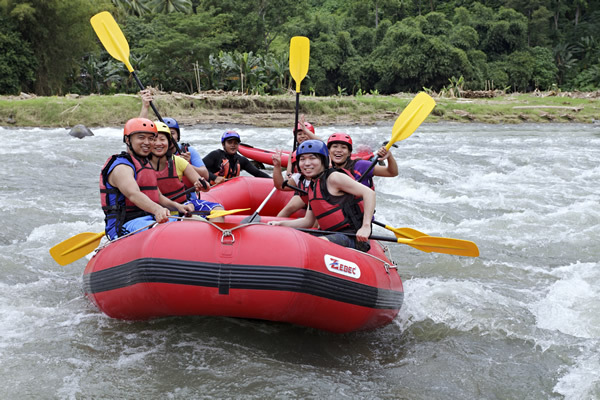 With the continous boom of tourism in the Philippines, the lodging and hotel business industry also expands. Grand hotels are being built here and there, offering eye-catching facilities and innovative gimmicks to attract guests. But in the middle of this market frenzy, Microtel by Wyndham goes back to basics by focusing on what foreign and local travelers really look for -- the best value and service with no frills. In Microtel, four front office jobs typically handled by a handful of people is done by one. While others may call it excessice and toxic, the groups' director for HR calls that "manageable". What a blogging year it has been! This has got to be the awesomest way to end the year- meeting up with bloggers from all over the Philippines and show them what Baguio has to offer. 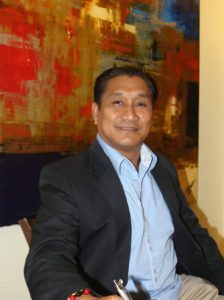 The Microtel North Luzon hotel executive is no stranger to doing operations and sales at the same time. 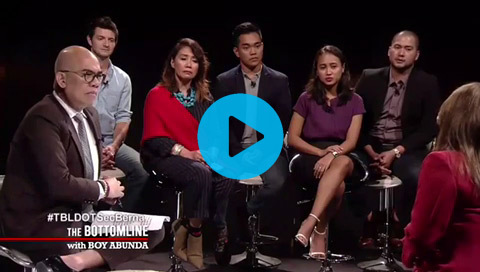 Roy Martin tells Paolo Abellanosa how such a career investment has been making his job easier. 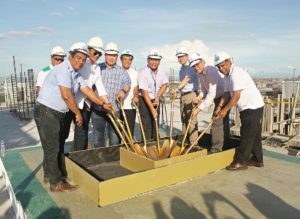 Microtel Philippines, part of the Wyndham hotel chain, will build more hotels thereby offering more rooms as it looks to a bullish Philippine tourism industry that is expected to double if not reach 10 million tourists in the next few years. MANILA, Philippines - There is a new and familiar home in Quezon City, and it is none other than Microtel by Wyndham-Acropolis. Found in the heart of the busy Libis neighborhood, Microtel by Wyndham-Acropolis is, according to its general manager Rene Suarez, a "simple and friendly urban oasis". 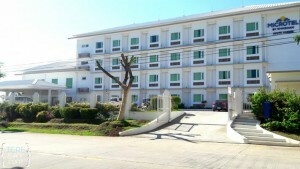 Microtel Inn and Suites by Wyndham in Cabanatuan is part of international budget chain of hotel with 50 spacious air-conditioned rooms with essential amenities. This hotel is located in Sta. Arcadia with is a quiet place but accessible to the city which is about 10-15 minutes away by taking their main transportation vehicle that is tricycle. 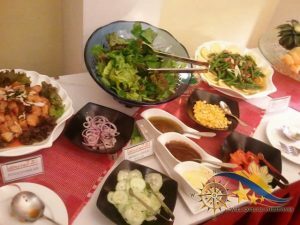 A month before my mother’s birthday, I arranged a tour in Baguio for the two of us and what other way to make it a perfect vacation is of course a cozy yet affordable hotel in Baguio to stay. I just wanted to give my nanay the most wonderful birthday gift she could ever have. 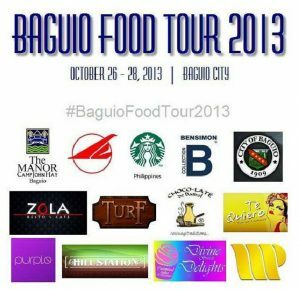 A surprise Baguio trip! 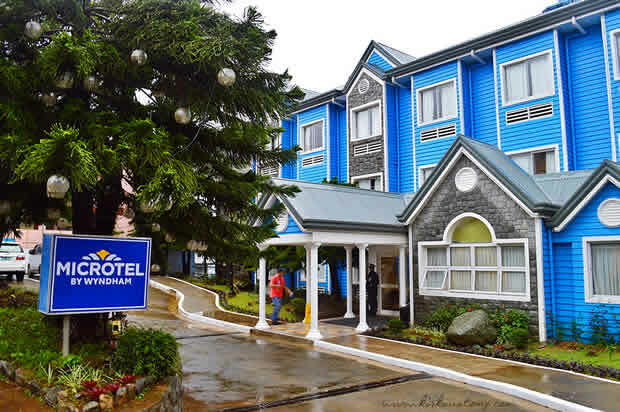 There’s no other hotel in Baguio came out of my mind other than the Microtel Inn & Suites. It is strategically located in the heart of the city, offers affordable and reasonable room rate and will let you experience the contemporary hotel living. 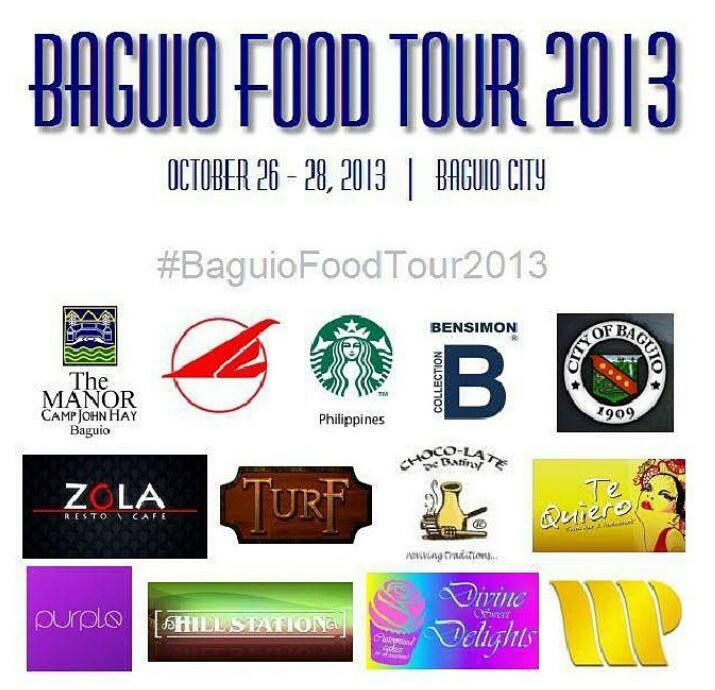 Baguio City has always been a place of refuge from the stress of metropolitan living. Known for its cool climate, scenic mountains, lush pine trees and numerous nature parks, the City of Pines offers a refreshing break from the scorching heat and humidity of the metropolis. My short visit of Cabanatuan City and its neighboring municipalities in Nueva Ecija proved to be more than just a restful overnight stay at Microtel By Wyndham-Cabanatuan. 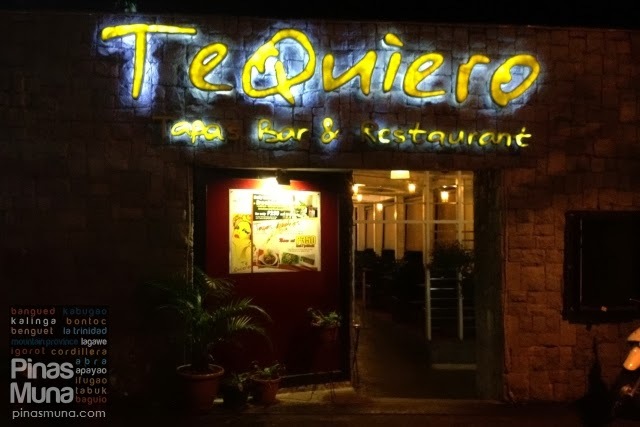 I did not expect to sample sophisticated food and drinks in the middle of what seemed to be nowhere for me. 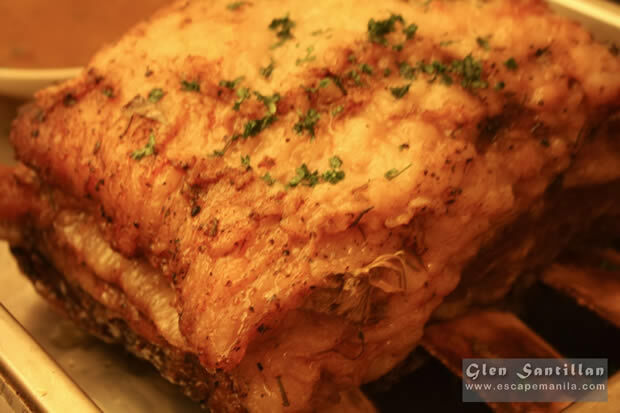 As a resident of congested Metro Manila, I anticipated to have my filling of local-based dishes there instead. And I did, but I was also fortunately treated to hotel-oriented servings that were inventive in taste. 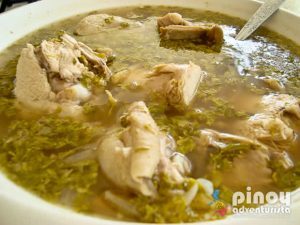 They were what a city native and travelers would find worth visiting Cabanatuan City for. Cabanatuan City seemed like one farming area after another with no stunning image of a hill or mountain anywhere nearby. Almost smack dab in the middle of the province of Nueva Ecija, the city almost had me feeling restless towards the end of my four-hour Five Star Bus commute from Metro Manila. I figured that only a pleasant hotel accommodation could recharge me for a quick tour of the city the next day.